The life and teaching of great souls are real treasures for humankind. They have not only dedicated their lives to perfection and higher consciousness, but also their every moment is dedicated to all of creation to quicken spiritual evolution. Sage Narada in his beautiful work, Bhakti Sutra: Aphorisms on Divine Love, beautifully described that a realized one has not only reached the goal overcoming the veiling play of maya, but also helps others to cross this ocean of illusion. The life of the realized one is like a burning flame; it illumines itself, illuminates others, and also kindles fire in other lamps. We have very clearly seen in the life of our beloved Gurudev Paramahamsa Hariharananda the beauty of his spiritual wisdom, intuitive insight, burning flame of love, and selfless service for humanity in general. His long span of divine life, which includes sixty-four years of renunciation and more than fifty years of tirelessly teaching Kriya Yoga, was spent movement to moment for the betterment of all. His daily life started from the early hours of dawn and brought joy and love in the life of many seekers in various ways. He used every moment of his time for all, continually reminding us tha time wasted is life wasted. He pointed out repeatedly, "Waste time with none but God, then time will not be wasted." Gurudev shaped the lives of many as a true lover of God. He wrote countless inspiring letters to his disciples all over the world. As an author, he presented us with many beautiful spiritual books. Proficient in many languages, he wrote books primarily in English, Oriya, and Bengali. He wrote a few books related to Kriya Yoga in Oriya. Some of his books are not yet translated into English. 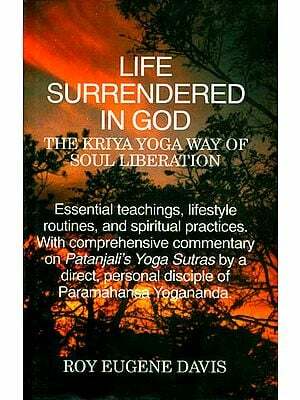 His most popular book is, Kriya Yoga: The Scientific Process of Soul-Culture and the Essence of All Religions. This book has been a source of inspiration and a spiritual handbook for people worldwide. It is with great pleasure that we bring forth the sixth edition of this inspiring book. 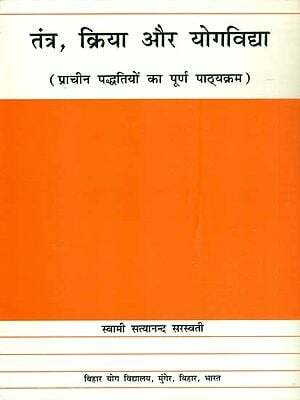 It has been more than twenty-five years since the first edition was published and it continues to be accepted and appreciated by spiritual seekers. Due to requests from people worldwide this book has been translated into many languages. We want to bring it into the hands of all seekers of Truth. Gurudev's light and love through his words of wisdom will continue to inspire us for all time. Restlessness and calmness are always together. Restlessness comes from the mundane body. Submerge your should in the Infinite before, during, and after every act - then you will get calmness. We are born for Self-realization - the God-consciousness in us. Think of God constantly, no matter what you are doing. Practice makes man perfect. An ounce of practice is worth a ton of theories. Theory will take a devotee outside, while practice will take him inside3. theory will make an individual restless and selfish. Practice will give him inner peace and liberation from ego. Practice, practice, and practice in order to feel the presence of God in every breath, in every sound you hear, in everything you see, in every thought that comes to your mind, and every in the breathless state. Feel the presence of god as much in your enemy as in you fiend. Remain firmly anchored in the Divine Omnipresent, the Divine Omniscient, the Divine Omnipotent - even when you are occupied in worldly activities. 3 "Kriya Yoga is the Base and Unity of all Religions" -Lecture delivered at Washington Ethical Society, Washington, D. C.